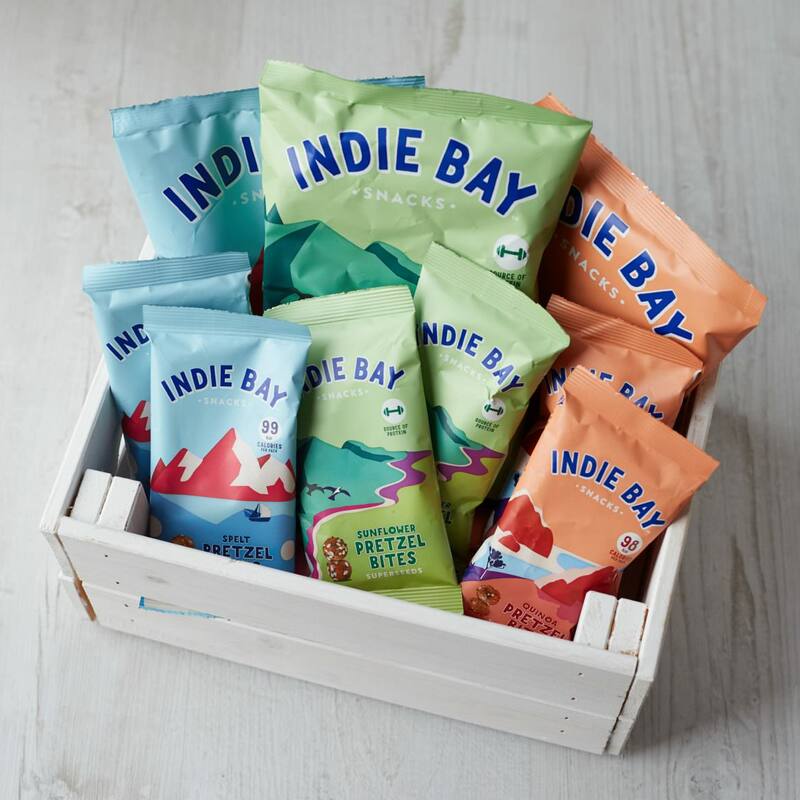 Since launching in August of last year, Indie Bay Snacks have enjoyed a number of successes or “Indie wins” and have secured listings amongst many health food shops and credibility setters such as Whole Foods, Planet Organic, and Sourced market. Where did they come from, and where are they going? Dafna, the founder of the company and Chief Indie by title, got going with Indie Bay Snacks because of a real need for better snacks. Back in 2016, a house full of hungry kids, an empty snack drawer, and a trip to the local shops only to be confronted with fatty, unhealthy snacks left her disappointed and resolved to do better for her children, and for all snackers. The result is the Indie Bay Pretzel Bite. A reimagining of the pretzel – a sleepy snack which has remained unchanged for decades – these crunchy little bites are packed with benefits. Made using alternative flours such as spelt and quinoa, they’re a source of fibre and protein, and contain fewer than 100 calories per portion in two of their three varieties. As well as being better for you, the grains used give them extra flavour and crunch, so they taste better as well. Indie Bay Snacks are committed to changing the way we feel about snacks, and how we feel about ourselves after enjoying them. Snacking should feel as good as it tastes, which is why they’re working hard to get everyone snacking on Pretzel Bites. No guilt. No grease. All crunch. Visit them at the London Coffee Festival, stand SH13.